Minimalist poster for Russian film drama by Award winning Czech poster artist Jaroslav Fišer. Minimalist poster design for Russian drama. Poster is in A3 format. Previously folded and slightly creased on edges. Tiny hole and black marks around the top left corner. Print lightly misaligned and bit loose in colour. Nice condition. minimalist posters in our movie poster shop. 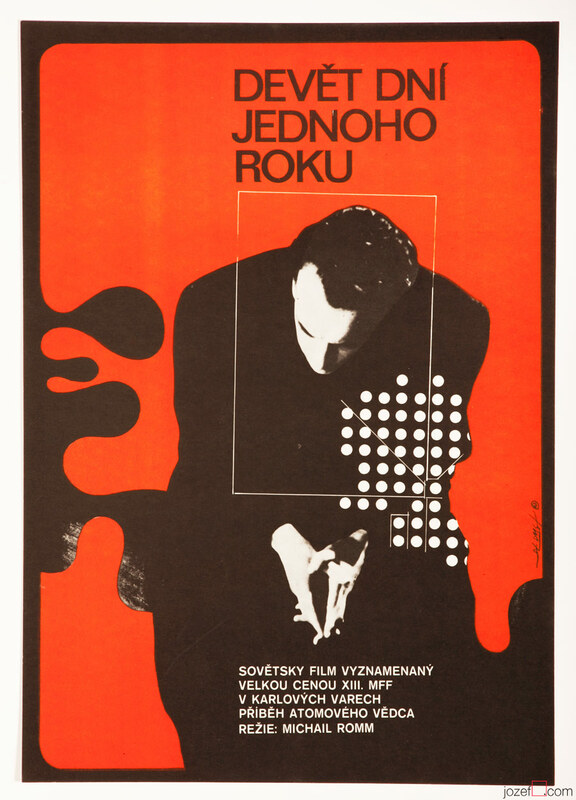 Be the first to review “Movie Poster – Nine Days of One Year, Jaroslav Fišer, 1975” Click here to cancel reply.